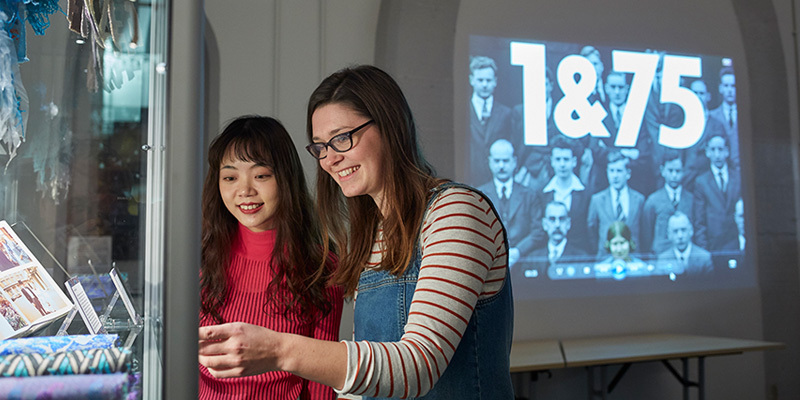 As a postgraduate student in the School of Fine Art, History of Art and Cultural Studies there are a number of scholarships and funding opportunities that you may be eligible to apply for. The scholarships are awarded on the basis of academic merit, also taking into consideration relevant experience, references and supporting statement. Applicants must hold an official offer from the University of Leeds, and must not already be fully-funded by another award/scholarship. The Leeds Masters Scholarships aim to encourage students from under-represented groups to embark on a postgraduate qualification. The Scholarships are funded by the generous donations from our alumni through the University of Leeds Footsteps Fund and are for UK students paying postgraduate tuition fees at the UK rate. If you are a former student of the University of Leeds you may be eligible for a 10% alumni tuition fee bursary. The University will pay 10% of the self-funded portion of your fees for each year of the course. If no fees are paid then no bursary is awarded. If you think you’re eligible, you need to contact the School’s admissions team. Check the University's scholarship portal to see if there are other opportunities.